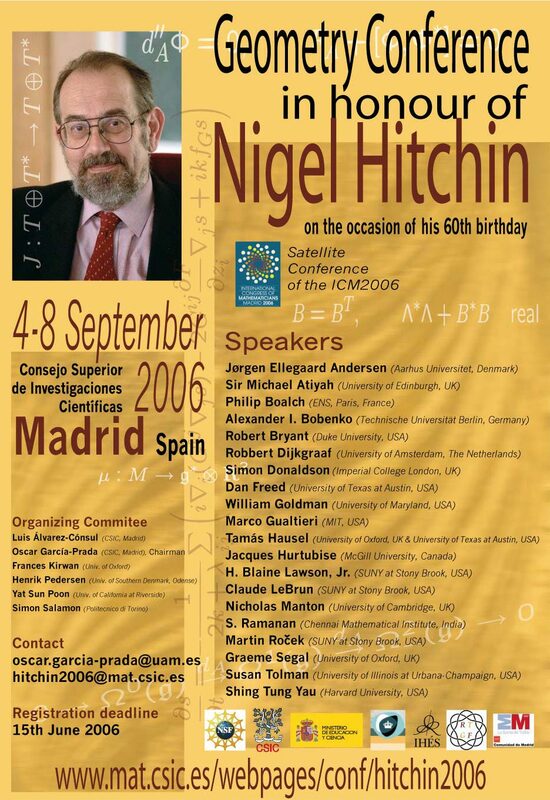 This meeting is in honour of Professor Nigel Hitchin (University of Oxford) on the occasion of his 60th birthday. The meeting is devoted to the many research topics covered by Nigel Hitchin, and will take place at the Consejo Superior de Investigaciones Científicas (CSIC) in Madrid. Talks will start on Monday 4th of September and will end on Friday 8th of September. 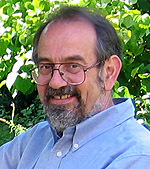 This meeting is a satellite conference of the International Congress of Mathematicians 2006 to take place in Madrid in August 2006. Download Conference poster in jpg format. Poster designed by Marie-Claude Vergne (IHÉS).